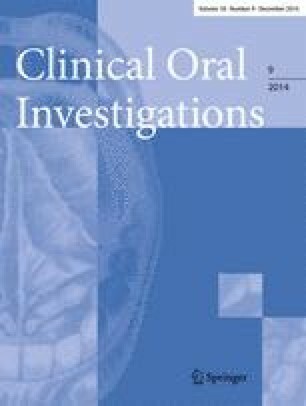 The aim of this study is to compare wound healing and patient pain perception of single-incision (single-incision, modified single-incision) and trap-door surgical techniques to harvest subepithelial connective tissue grafts from the palate. Thirty-six patients were selected for root coverage procedures with subepithelial connective tissue grafts and randomly assigned to two single-incision groups or a trap-door group (n = 12/group). One week after surgery, a modified early-wound healing index (EHI), patient pain and painkiller intake were recorded. Follow-up was performed until complete epithelialization was achieved. Single-incision techniques showed significantly improved early healing over trap-door approaches. Specifically, the mean EHI was 2.50 ± 1.14 for single-incision techniques, as compared to 3.33 ± 1.30 for trap door. The incidence of secondary healing was significantly lower in the single-incision groups. Concomitantly, the cumulative dosage and duration of painkiller intake were significantly reduced, as compared to the trap-door group. Within the limits of this trial, single-incision techniques can lead to improved early healing and reduced patient pain after subepithelial connective tissue graft harvesting than trap-door techniques. Avoiding trap-door incisions for harvesting of connective tissue grafts may reduce patient morbidity. The authors acknowledge the help of Mr. Benedikt Schumann in the field of patient management and coordination. This study was funded solely by the authors’ institutions.